EVERARD, Robert. A Relation of Three Years Sufferings of Robert Everard upon the Coast of Assada near Madagascar, in a Voyage to India, in the Year 1686. EVERARD, Robert. 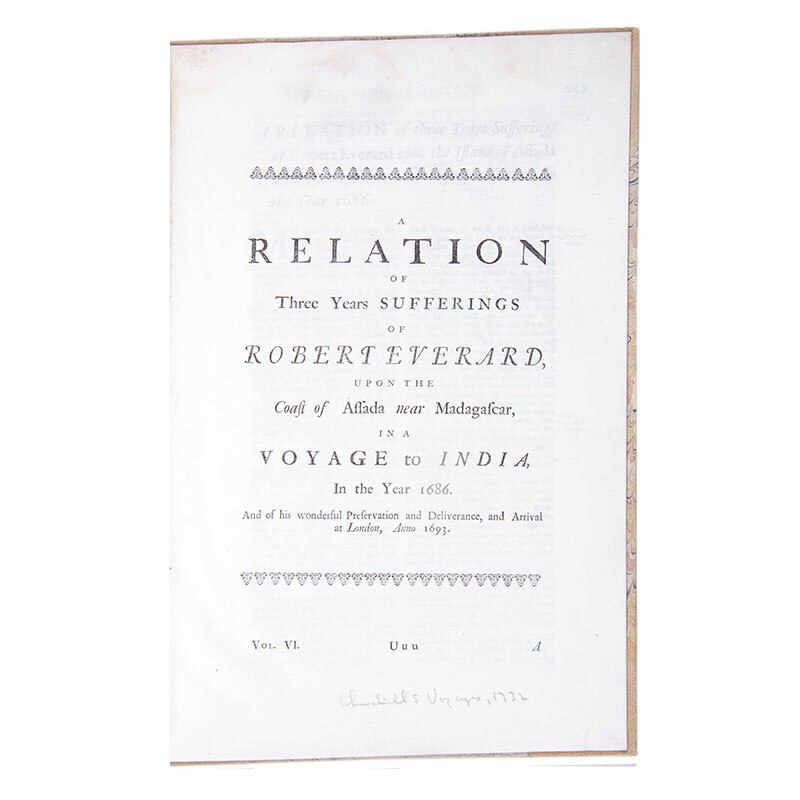 A Relation of Three Years Sufferings of Robert Everard upon the Coast of Assada near Madagascar, in a Voyage to India, in the Year 1686. And of his wonderful Preservation and Deliverance, and Arrival at London, Anno 1693. London: Extract from Churchills Voyages Volume VI, 1732 Later half cloth with marbled boards, Fcap. folio. 257-282pp. Robert Everard sailed on board the Bauden as an apprentice from London bound for Bombay in 1686. In Madagascar the ship was boarded and the crew killed. Having been captured he eventually managed to escape on an Arab ship. Some staining to covers, a very nice copy in light yellow cloth.